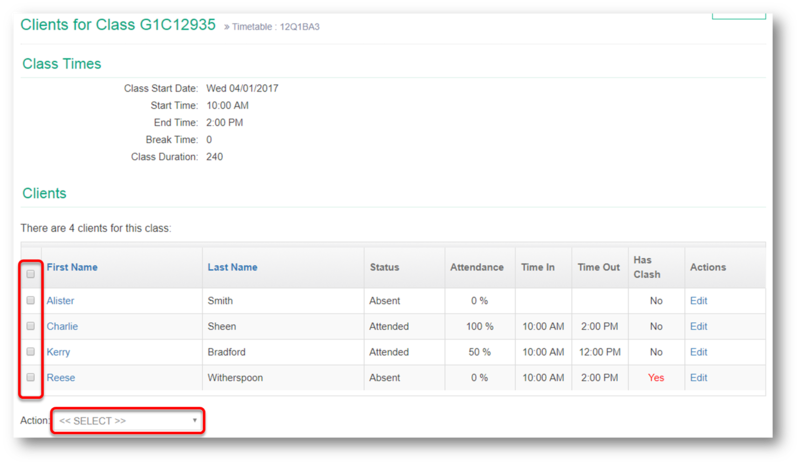 Attendance is recorded to indicate which Learners attended or in more detail by specifying times that the Learner attended. Both of these actions can be performed in bulk. 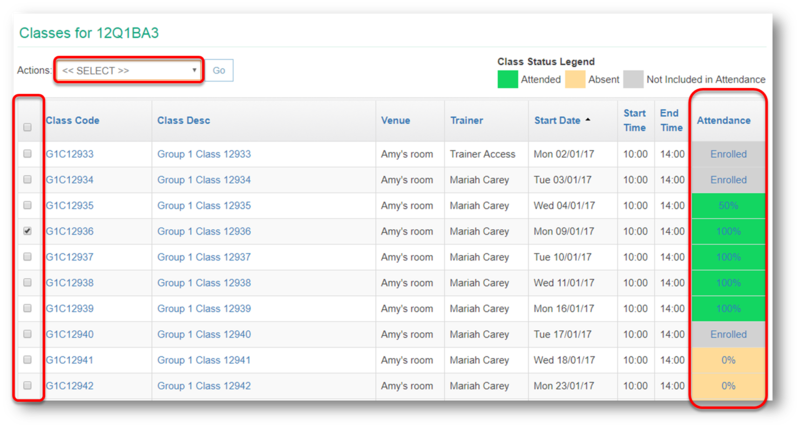 Attendance cannot be bulk updated for a Learner across multiple classes. There are a number of ways of entering attendance into Wisenet – you will need to check with your Training Organisation on how you are required to enter attendance. A Pop-Up Message will appear in RED saying “All selected records have been set as Attended 100%. Review and update individual records as required”. Marking Absence can be can individually or in bulk as per instructions in the previous tabs. Simply chose Absent from the Status list. 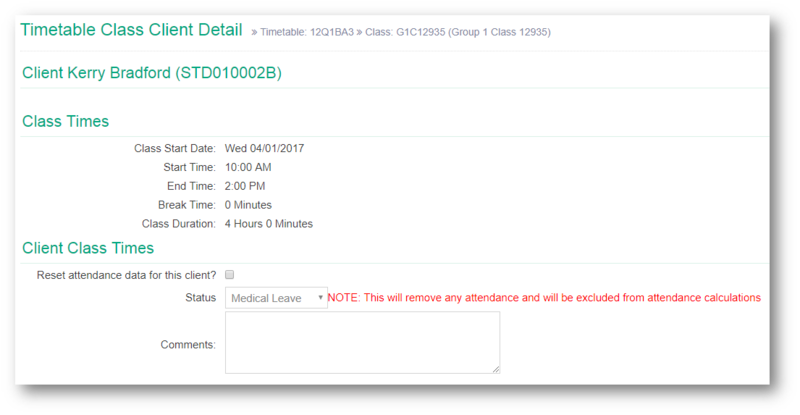 This is used for when the Learner has a valid excuse for their absence such as medical appointment or approved leave. 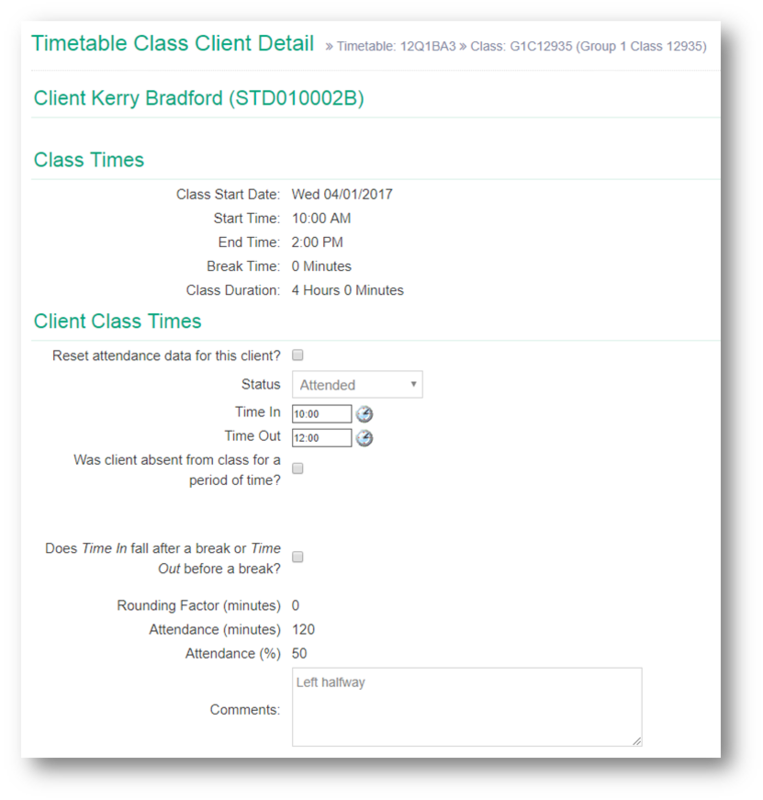 Under Client Class Times, Tick the box Reset Attendance data for this client? Use the Does Time In falls after a break or Time Out falls after a break if applicable (eg. The Learner doesn’t arrive until after lunch or doesn’t return after lunch). Tick the check box and adjust their break time if required. 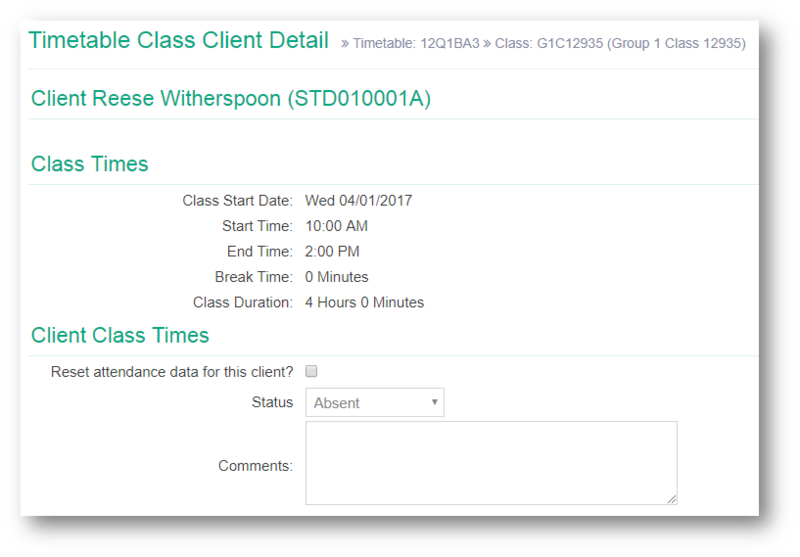 You will be returned to the previous screen and the class roll will show the Class Attendance % and time in and out for each Learner.